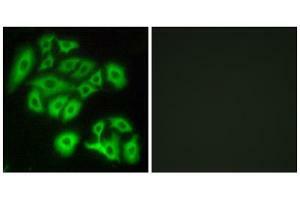 Immunofluorescence analysis of A549 cells, using FZD4 antibody. Specificity Rabbit polyclonal antibody against FZD4 protein. Immunogen The antiserum was produced against synthesized peptide derived from internal of human FZD4.